Stir together coffee and maple syrup. 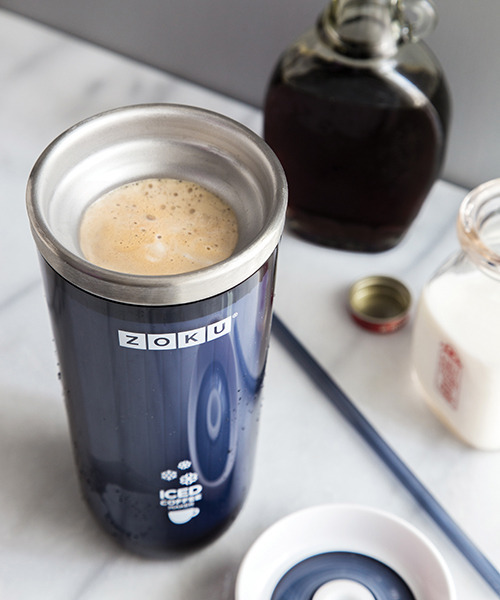 Pour coffee into Zoku Iced Coffee Maker, add milk and stir to combine. Place on lid and straw; wait 5-7 minutes for coffee to be chilled. Turn piping hot coffee or tea into a delicious chilled beverage in as little as five minutes. Learn How.